ION Geophysical Corporation announced the availability of fast-track pre-stack time migrated (PSTM) data from the first phase of its MexicoSPAN program. Currently being acquired, phase one encompasses more than 22,000 km of deep-imaged two-dimensional (2D) seismic data. Fast-track data delivery is being prioritized to coincide with the remaining lease sale of Mexico's Round 1 bid round. 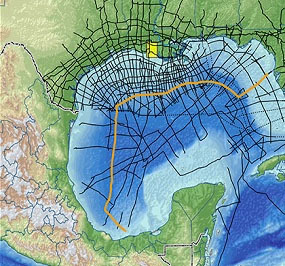 Combined with ION's YucatanSPAN, GulfSPAN and FloridaSPAN programs, MexicoSPAN will deliver the industry's only complete, basin-wide regional view of the Gulf of Mexico. For the first time, explorationists will be able to fully integrate seismic, well and even outcrop information from onshore U.S. to the Deepwater Gulf.